Amanda R. Kison concentrates her practice in the area of commercial litigation involving business and real estate disputes. She handles both trials and civil proceedings. Ms. Kison received her undergraduate degree from Skidmore College in 2002, where she completed the New York State mediation certification program. Ms. Kison received her Juris Doctor from the Charleston School of Law in 2008, during which time she volunteered for the Center for Heirs Property. Ms. Kison is admitted to practice in Florida State Courts and the Middle District of Florida. 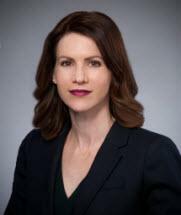 Ms. Kison served as the Chair of the Civil Trial Section for the Sarasota County Bar Association for the 2016-2017 Bar year, and is a member of the Judge John M. Scheb American Inn of Court. Prior to joining Bentley & Bruning, Ms. Kison spent several years as a litigation associate, where she focused primarily on commercial and business litigation, family law, and appellate practice.